While most of the league has seen a decline in attendance this season, the Minnesota Twins have been one of few teams who have remained unscathed. 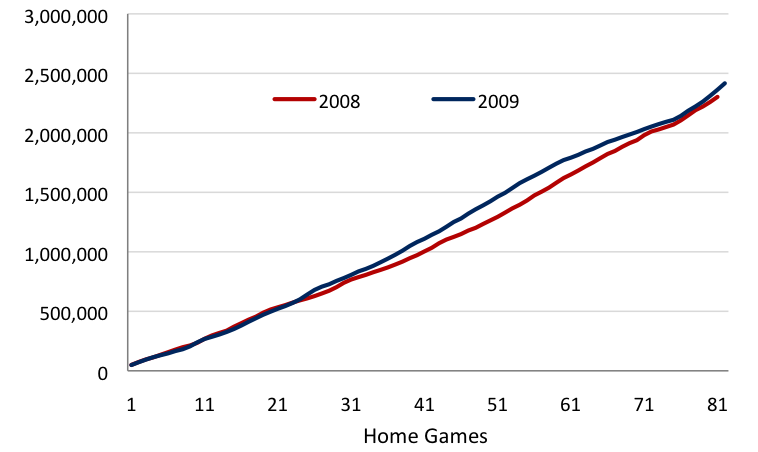 In fact, the Twins have seen an increase in attendance from last season. Thus far, the Twins have played a total of 54 home games and have an average attendance of 29,212 fans. Last season through 54 games at the Metrodome, the team was averaging 25,841 fans. The difference of 3,371 fans per game is quite spectacular with the economy and the downfall in attendance in most other markets. In the last 20 home games, the Twins have drawn at least 30,000 fans to 17 of them. The three games that have not drawn 30,000 fans have drawn over 27,000 once and over 29,500 twice. In that span, there have been four 40,000-plus games and two others have been within 1,000 fans of the mark. 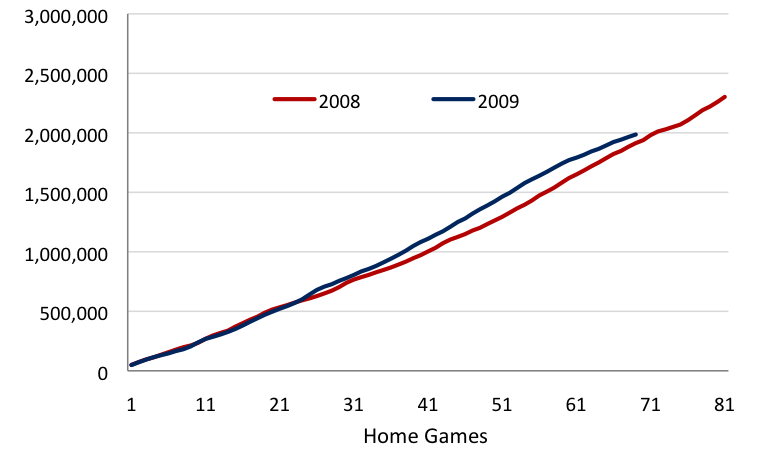 Overall this season the Twins have drawn 1,577,429 fans compared to a total of 1,395,409 fans to the same point in 2008. The difference is over 180,000 fans and the team still has 27 games to widen the gap. The league average for attendance is currently on pace to be just above 2,400,000 fans at season’s end. To reach that mark, the Twins will need to draw about 30,000 fans per game over the next two months. If the team remains in the division race, that is more than doable; last season the team finished with just over 2,300,000 total fans. Attendance Analysis will become a series updated at various points the rest of this season and in the future.